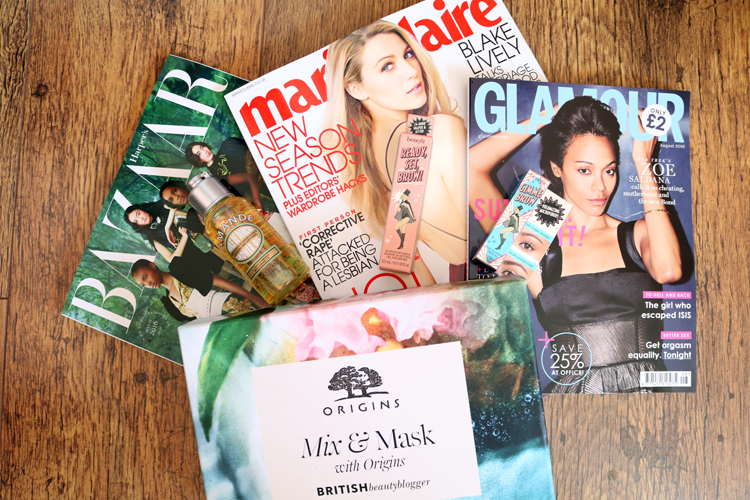 The UK magazines are wooing us with some awesome freebies again this month! 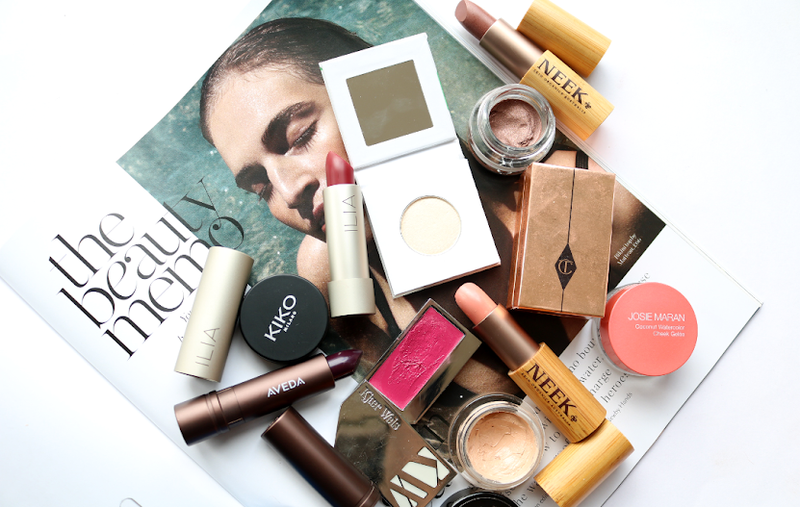 Here are my beauty purchases for the weekend. Benefit's huge brow products launch shows no signs of slowing down as they release some more sample sized exclusives with the beauty mags this month. 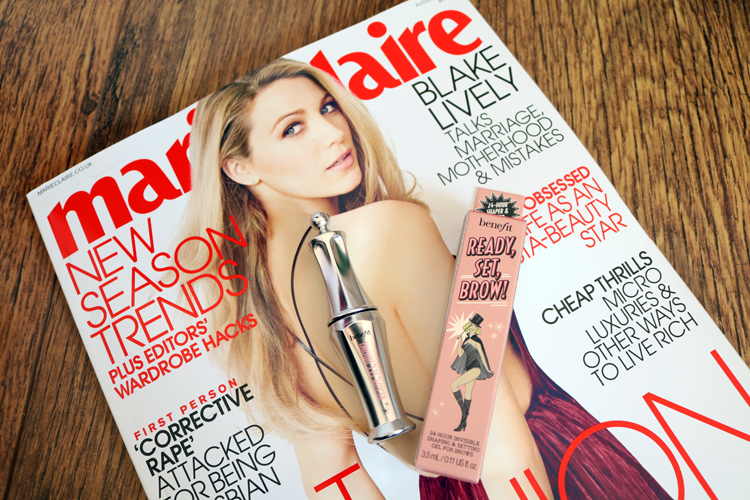 Attached to August's Marie Claire is a deluxe 3.5ml sample of the new Benefit Ready, Set, Brow! - an invisible 24-hour shaping and setting brow gel. 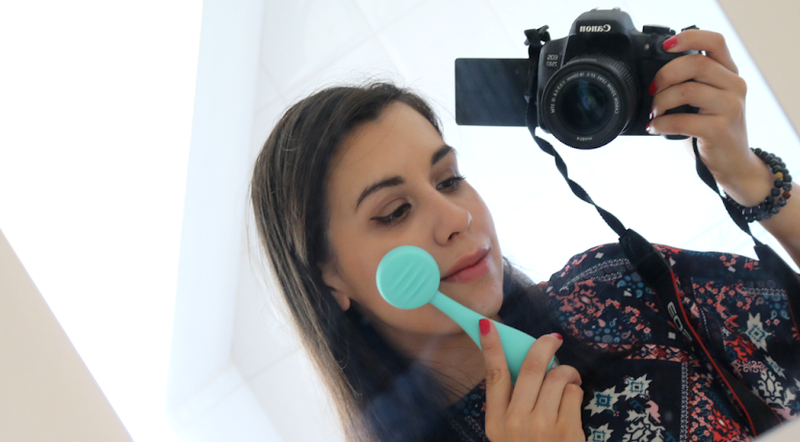 Gorgeous packaging as ever, I've given it a quick testing out and it seems pretty good so far! 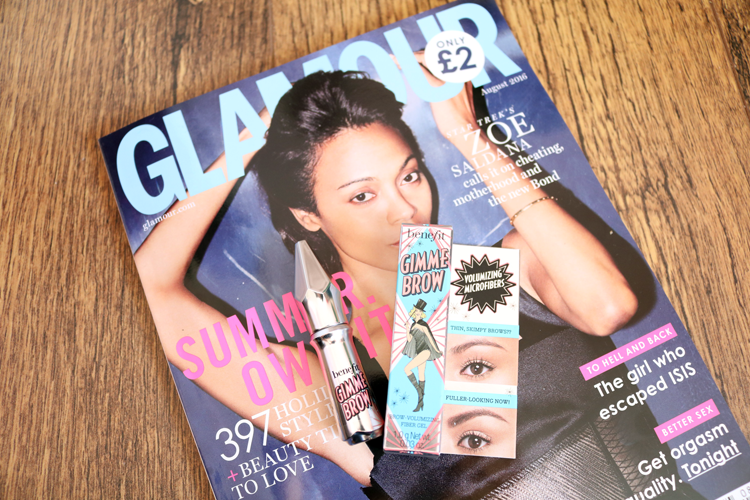 With Glamour magazine, Benefit are giving away a deluxe 1g sample of their new Gimme Brow - a volumizing fibres based gel that thickens up thin brows. It's available in two colours - 1 (for blondes) and 5 (for brunettes). 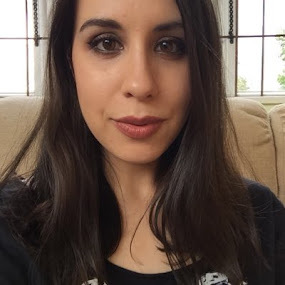 I really like this one; it's very easy to use and has buildable coverage so you can sweep on an extra coat if you want to thicken up the brows even more, but it still gives a very natural looking finish. As I've mentioned before, I don't usually pick up magazines like Harper's Bazaar, but when I spotted some L'occitane freebies, I couldn't resist. There's a choice of four different L'Occitane products to choose from (Divine Cream, Shea Butter Hand Cream, Almond Shower Oil and Perfume). 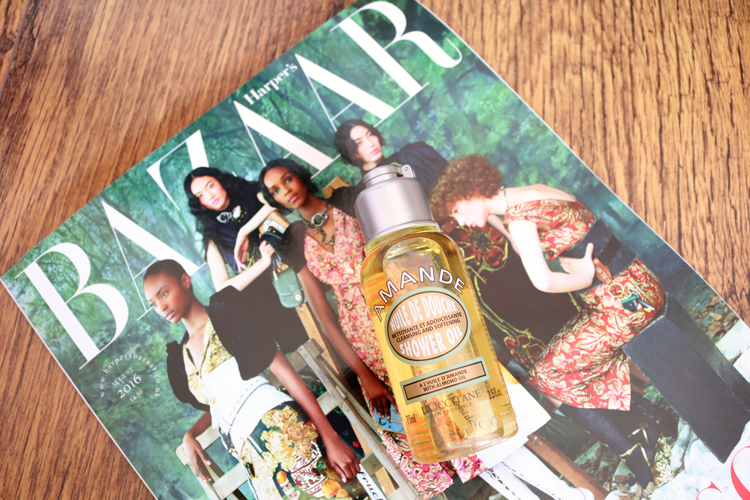 I picked up the Almond Shower Oil because I absolutely love it and this 75ml bottle will be perfect for travelling with this summer. Beautiful scent, wonderfully luxurious shower oil formula and it also doubles up as an amazing product to shave your legs with! Lastly, I wanted to give a quick mention to this awesome beauty box that I ordered last week which was delivered on Friday. I'm sure you've all seen it by now, but if you haven't, I'm afraid to say it's now sold out! 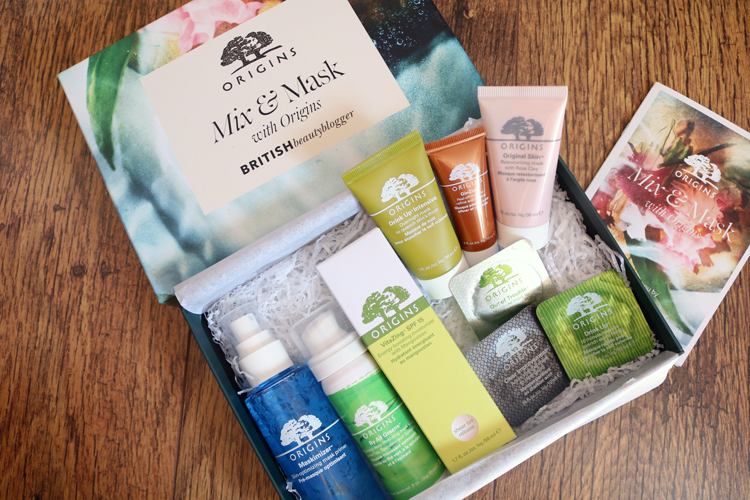 It's the most recent British Beauty Blogger (aka Jane Cunningham) collab with Latest In Beauty, and this time around they've teamed up with Origins to put on a fantastic one brand box called the Mix and Mask box. This box was £20 with free p&p so excellent value for money as you can see! I was also lucky to get one of the boxes with a supersize sample as well. I've used a couple of these (big fan of Original Skin - currently have a full-size tube on the go, Drink Up and Clear Improvement) before, and I'm looking forward to trying out everything else, especially the Maskimiser which sounds like such an interesting product. 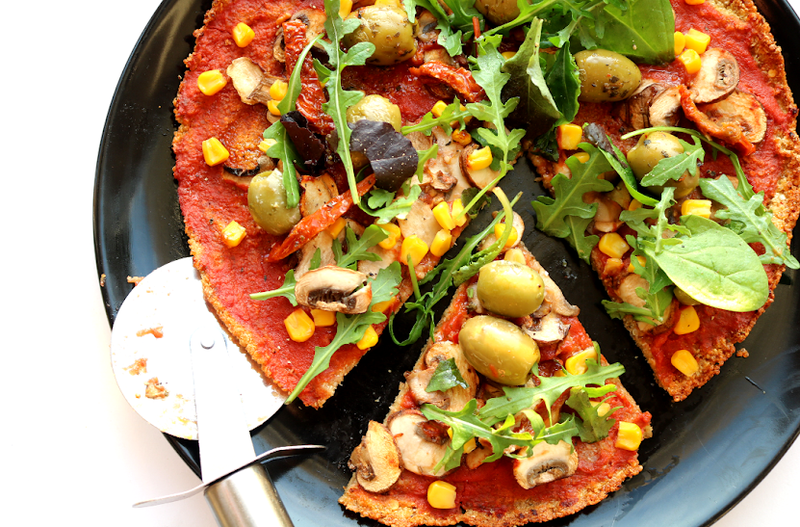 Have you picked up any of this month's magazine freebies? Did you get a BBBOrigins Mix & Mask box?